At Align Chiropractic we tailor our care and type of adjustment to you and your unique needs. Thompson Chiropractic Technique uses a specialised table to allow a quick, gentle adjustment. Thompson Technique uses a special table with several segments called drop-pieces. The drop pieces allow a quick, small impulse when you are adjusted. For many people this makes it more comfortable. Cavitation, or “popping”, of the joint typically does not occur. The majority of the adjustments are performed with the client lying face down. Impulse adjusting technique uses a microprocessor controlled, hand held instrument to give adjustments. The Impulse instrument can give a short series of inputs which aim to restore movement to your spine. Cavitation, or “popping”, of the joint typically does not occur. The majority of the adjustments are performed with the client lying face down. 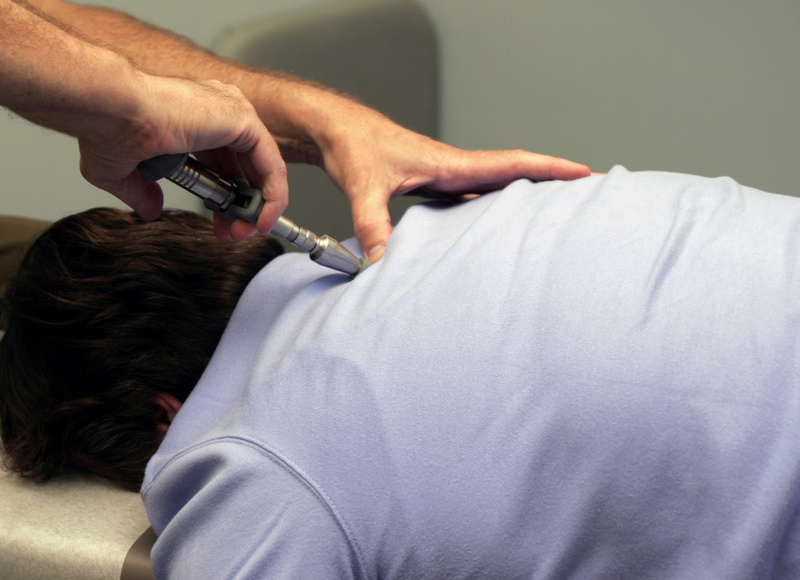 Activator Methods uses a small hand-held instrument to gently restore movement to the spine. Activator Methods uses a small, hand-held metal instrument that delivers a gentle thrust to spinal joints. The thrust is developed from the rapid release of a compressed spring inside the instrument. Cavitation, or “popping”, of the joint typically does not occur. The majority of the adjustments are performed with the client lying face down. Webster Technique is a specific chiropractic technique for pregnant women. Webster Technique is a specific chiropractic analysis and adjustment used on pregnant women. It is an approach that has been developed based on the postural changes that happen when you are pregnant. Manual adjusting is the classic chiropractic technique that most people think of when they think of being adjusted. Manual adjusting is, as the name suggests, more hands on than adjusting with the impulse or the activator. Cavitation or “popping” will typically occur with this style of adjustment. The SD or Sympathetic Dominance Protocol is a relatively new approach to care. It is aimed at helping people who have been under chronic stress. The SD protocol uses a type of manual adjustment combined with postural exercises supported by recommendations on your nutrition and daily routines. Both Martin and Kieran are certified practitioners in the SD protocol. For more information about the SD protocol, you can read about it here.